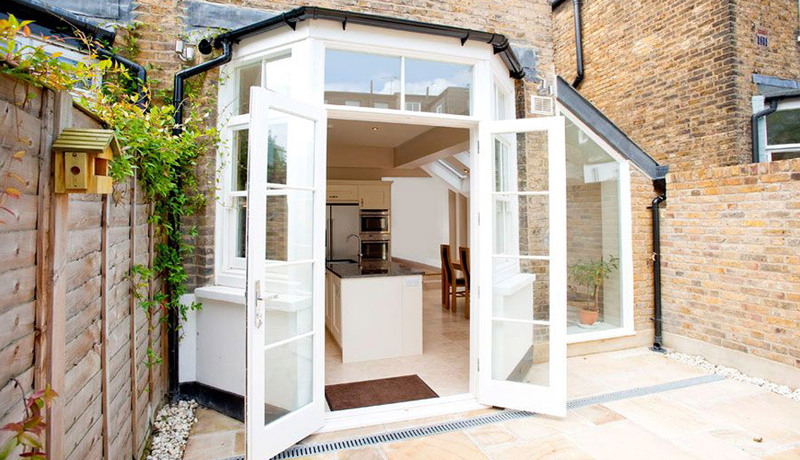 If you’re considering an extension or simply want to transform a room in your home for the better, no doubt you may have considered patio doors if the room faces a garden or a beautiful view. With so many types to choose from including bi-folds, pocket, pivot, traditional French doors and the currently fashionable Crittall style doors, it feels like a minefield of choices to home owners. But don’t despair! With our comprehensive look at each of the door styles on offer, we hope to make your decision quicker and less stressful. The first thing to realise is that by introducing glass to a room, you’ll not only let in a lot of light, you’ll also potentially let out a lot of heat if the glazing product is inferior. Thankfully, current legislation demands that glazing products meet certain strict criteria. So if you plan to purchase your doors from a local supplier, you should receive a good quality product that will last for years and display good insulating properties. There are however, a lot of “deals” online on stores such as Ebay from many overseas manufacturers that don’t quite hit the mark. Many of them are no doubt of decent build quality however, some may not meet the standards we demand in our colder northern European climates so make sure you opt for double or even triple glazed frames, with thermally broken aluminium and uPVC frames that will not transfer the heat indoors to out! The age and era of your home will undoubtedly dictate what style of doors will work and which won’t. Shoehorning a modern contemporary bi-folding door frame into an old grade listed cottage just won’t look right and likewise, a traditional Georgian or Crittall style frame attached to modern, contemporary apartment block may stick out like a sore thumb. Understand your home and look for frames that are sympathetic to the era of the building and you will then enhance and celebrate its features, rather than create a mishmash of styles that will just clash and end up looking pretty horrid. Everybody loves French doors because these simple frames have bags of character and charm. And unlike a lot of modern frames, they pretty much work anywhere - within reason. Comprising two doors hinged on opposing sides of the frame that lock together at the centre, these doors are great for opening up small spaces or replacing a sash window that once stood in a Victorian or Georgian home. Most French doors are fairly modestly priced so they offer a great budget option to open up a room that doesn’t have a great deal of width and floods the room with much needed light. If you want something wider however, French doors aren’t the answer as they are limited to a standard two-door format in most cases. Of course, bespoke options may offer more choice. Probably the most sought after door in recent years is the bifold and its easy to see why. Consisting of at least three individual leaves that fold and slide along a track, to concertina together at one end of the frame, they literally open up the entire room and let the outside in! Great for making a room feel bigger, airier, and al fresco; bifolds are becoming increasingly popular as they can transform a simple room into something pretty spectacular. Great for entertaining in the warmer months, they give you a great deal of flexibility as a single door can be used to come and go from inside to out during the whole year yet on summer days, you can simply unlock, slide and open up the entire room in seconds to enjoy the weather with family and friends. The downside is they are not cheap. A good quality set of bifold doors can set you back at least somewhere in the region of £3000 upwards. If you like your room to feel completely open, then pocket doors are the creme de la creme! Much like bifolds, they open up the room to the outside yet these door frames actually hide the doors using a very clever track system that slides the panels away into the adjoining wall. Not all houses can fit these as they demand the wall space to house the hidden panels, so the number of panels that slide away into the wall will affect the depth of the pocket required. If you have the wall space and the budget, these are fabulous for finishing off a contemporary garden facing room and will never fail to impress anyone that sees them in action. Just mind your wallet. These doors cost serious bucks! 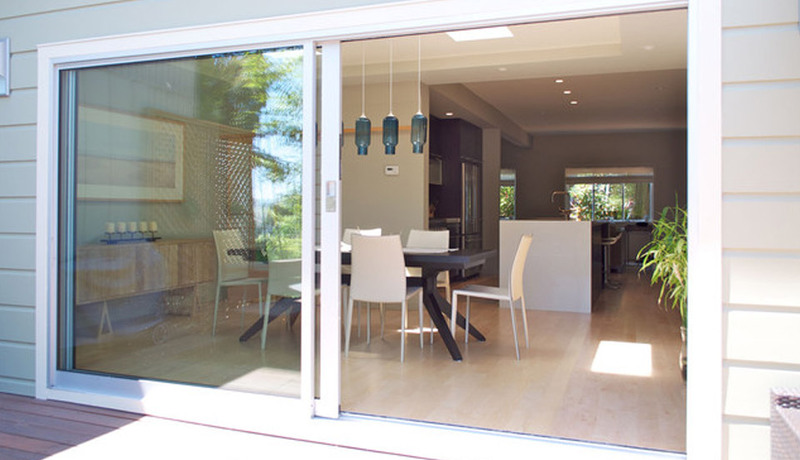 You know, there’s absolutely nothing wrong with the humble sliding patio door and with many new styles now available on the market, anyone considering patio doors should give these a chance. Much like modern bi-folds and pocket doors, they feature large glass panels that let exactly the same amount of light in and look just as sleek and modern as their more expensive counterparts. The only drawback is that only half of the doorway can allow access to and from the garden, seeing these doors usually slide on a fitted track. 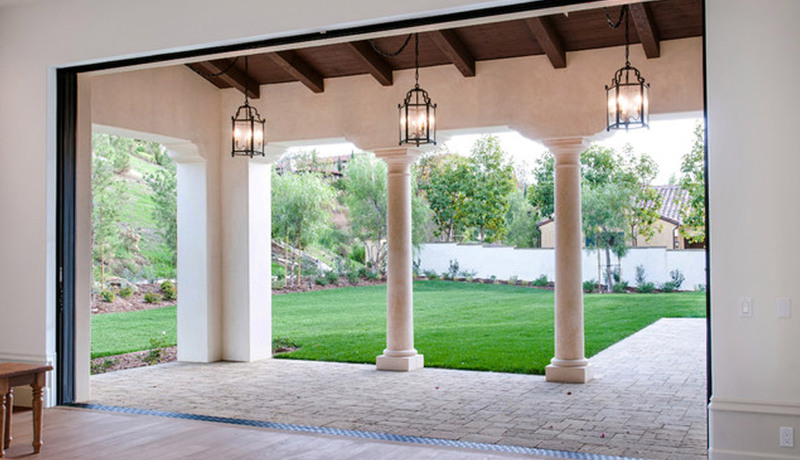 But if that’s no problem to you, sliding patio doors offer a great looking, lower price tagged option that will look amazing and last for years. As well as the common door types mentioned above, there’s also a few other lesser known styles that are making waves in recent years. 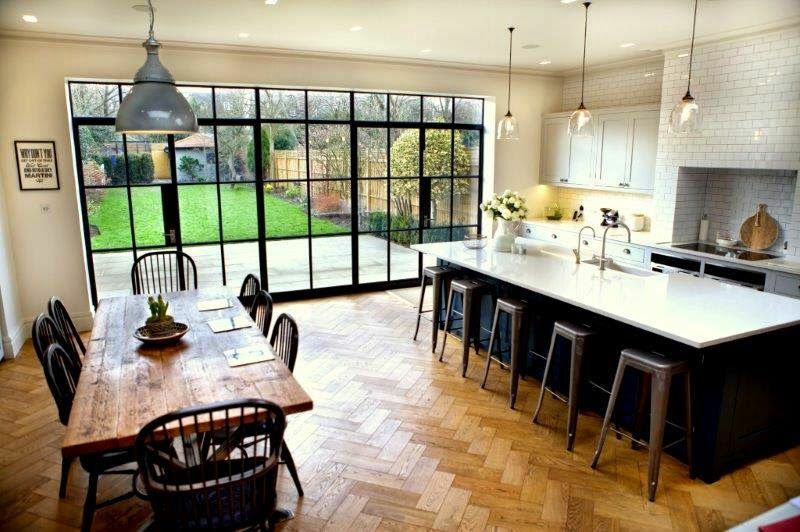 Traditional steel framed Crittall Doors are really making a comeback and its easy to see why with the recent onset of industrial influenced interior design. These rugged framed doors give a sense of nostalgia, yet still exude the same elegance and individuality that Georgian frames or French doors have, yet with more strength and character to the structural integrity. Wooden frames rot quickly whilst uPVC can look a little plasticky. 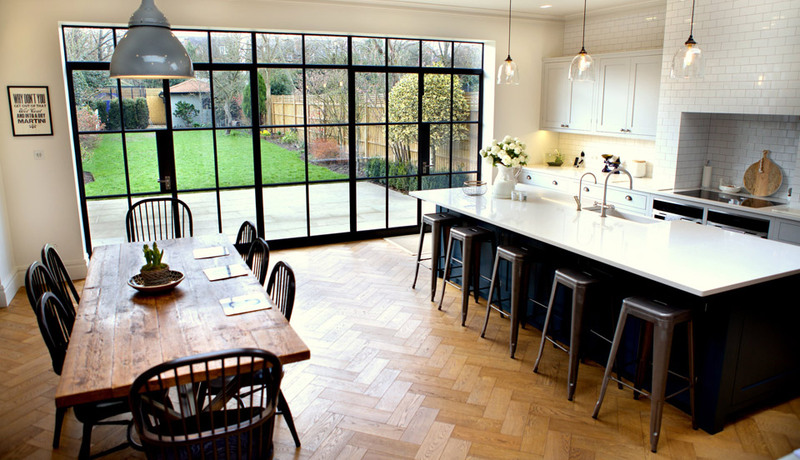 Not these - Crittall doors are super hard wearing, incredibly solid and look great in both traditional and contemporary spaces. Pivot doors are another quirky design that has started to be seen more often than not. As the name suggests, each panel pivots on a 90 degree angle, making it a stylish alternative to bifolds or sliding doors. However, pivot doors are more decorative than practical and with the openings between each panel being quite tight on smaller frames, they do give more of a sense of full height windows than being a practical way of leaving or entering from inside to out. Not great for high traffic areas. Ultimately, the final choice of patio doors comes down to practical use, style, price tag and what the existing building structure allows. Whichever choice you take, a patio door is always going to enhance the room inside and out, and taking the plunge should be an exciting challenge to enhance your room and give you many years of enhanced living.